Roses are the beautiful and often fragrant flower, which is very commonly used in gardens. Imagine a beautiful rose blooming in your garden spreading its fragrance around your home. Rose plants are readily available in markets, you can buy a beautiful new rose plant from the market, but have you ever thought of making a new rose plant from its stem. So let’s learn how to plant a Rose Stem. 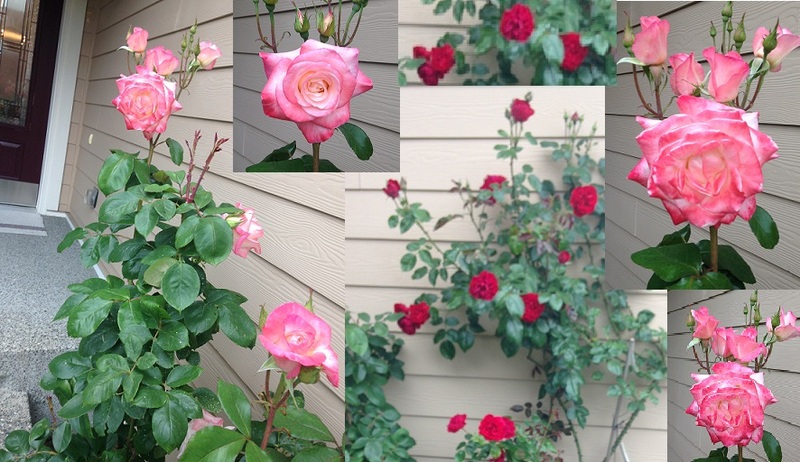 It’s very easy with just a little effort you can have a healthier rose plant blooming and that with no cost, its all about timing and technique. Rose will produce in the winter month so that the rose cutting can be potted in early summer or spring season. Spring is the time of the year when they are growing vigorously and the best time to take a cutting of a stem. But while choosing the stem to cut you have to look that it is neither brand new or fully matured stem. The thickness of the stem should be like a pencil. Start by filling a pot with the potting mix. Choosing cutting from a rose plant is an important step, a stem that has recently bloomed are good for cutting. Cutting should be four to eight inch long and have at least two to three leaves attached to it. Leaves in the cutting will help in promoting rooting by photosynthesis. Always remove any flower from the cutting as the flower will use the stem energy which will affect its rooting process. Make a sharp cut at 45-degree angle, its best to make a cut just below the leaf node. Scratch the lower green portion with the help of razor or blade. Remove the lower leaves and keep only two top leaves as these two leaves will continue photosynthesis for the plant and help in root formation. Trim the leaves to half to reduce moisture loss through transpiration. Dip the lower cutting in honey or cinnamon this will act as a rooting hormone. Make a hole in growing medium pot or soil and put the cutting in place. You can cover the stem with a plastic jar to maintain humidity and create a miniature greenhouse effect. Make sure there are proper light and warmth reaching the cutting. Keep the area moist and roots will appear in three to five weeks time. You can either place the cutting in a pot or can directly place the cutting in the ground, I prefer to place the cutting directly in the soil so there is no need of propagation later on. Neither I use the jar to create greenhouse effect as the climate is warm enough to help it. and I had a great success with it but you need mild climate and good soil for this purpose. But for the beginners, the easiest method is to place it in a pot. 1. Use sharp cutters to prevent crushing of the stem while cutting. 2. You can use a rooting hormone to increase your success rate or you can also use Honey / Cinnamon as a rooting hormone or you can totally skip this step. 3. Label the color of flower for your cutting, I always get them mixed and have to wait till it blooms to know its color. 4. It will take about four to eight weeks for rooting to take place and new leaves to come. 5. Rose plant needs a lot of moisture and sunlight to grow. 6. While choosing the cutting from the rose plant make sure you choose the stem which is neither too young or too mature. The new stem is matured after it has bloomed and will be just like pencil-thick. 7. Early summer and spring or late fall is the best time to take the cutting of the rose plant so that you can easily make a new one. Rose plant loves water so water your rose plant diligently. The amount of water your plant needs depends upon your soil type and climate. During growing season rose plant need about 1 inch of rainfall per week. For an impressive flower show, you need to fertilize it monthly. The right balance of nutrients is must for the rose bushes for optimum growth. You can fertilize your rose plant once in spring and once in the fall season. Prune your rose plant in early spring, around March or April. It will help you get rid of all damaged and old canes and will result in a healthier plant. Keep your rose plant healthy and prevent any type of disease. Most common type of disease are powdery mildew and black spots, you should improve the air circulation in your rose plant and watering it properly. You can use a fungicide spray of an even simple homemade mixture of baking soda and 1 tsp of cooking oil in water to treat rose plant disease. Deadheading is a process of cutting the dead rose after it finishes blooming. Deadhead will increase the number of flowers your a rose plant produces, so cut the old flowers and see the difference it make to the health of your plant.